Veteran employment has improved greatly in recent years. Still, younger veterans and some women and minority veterans have struggled to find purposeful, long-term employment after service. Military spouses, too, face widespread un- or under-employment. 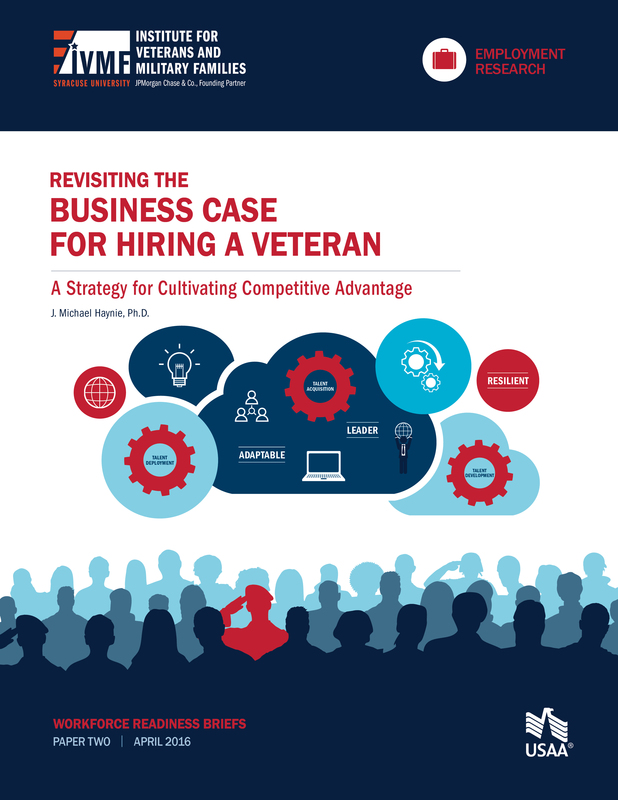 Our employment research seeks out greater understanding around how to best prepare transitioning service members for meaningful careers and how employers can best recruit, place, and develop veteran and military spouse talent within their workforce. 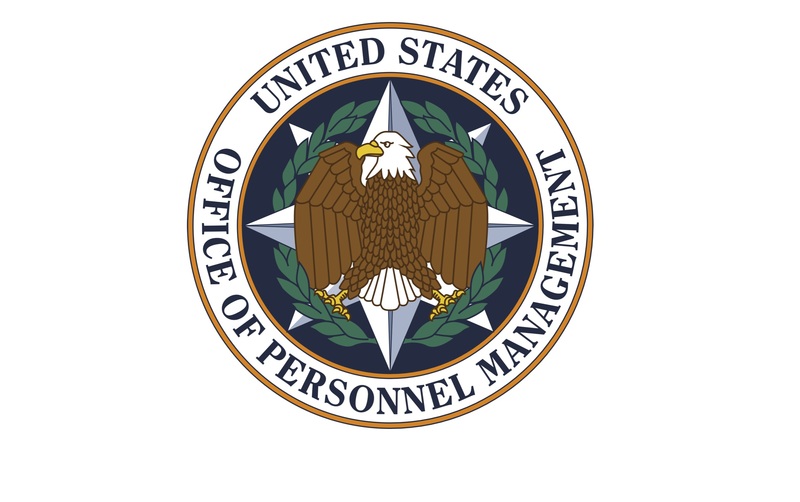 In collaboration with the U.S. Office of Personnel Management, the IVMF has been charged with conducting a formal review of EO13518’s implementation over its lifespan and will offer recommendations and future areas of focus for policymakers and senior agency leaders in late 2016. With the generous financial support and collaboration of USAA, we are exploring the topic of workforce readiness as it relates to transitioning service members and veterans in the civilian labor force. 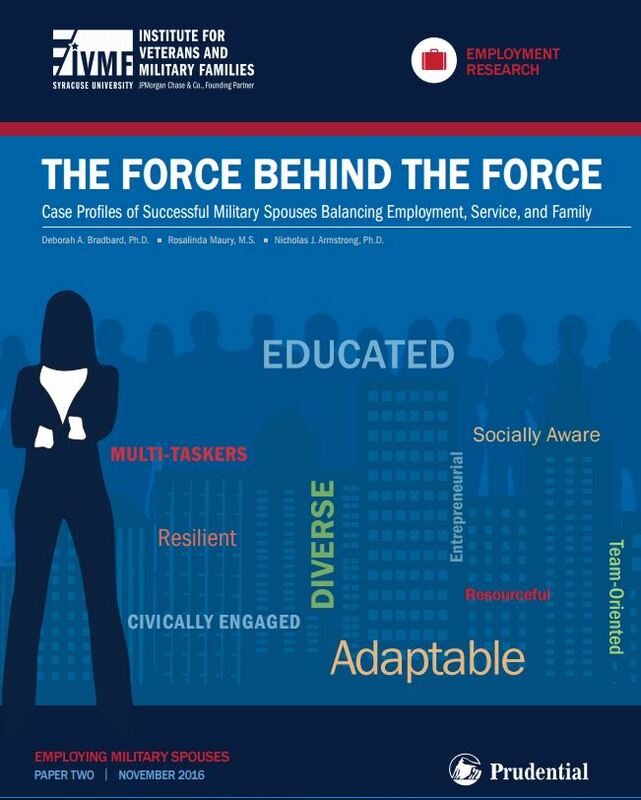 This in-depth look at military spouse employment outcomes will expand the understanding of challenges faced by working spouses and parents, and will identify areas for improvement in public policy that can benefit working military families. IVMF and the Military Officers Association of America (MOAA) partnered in a survey-based research project to more accurately assess the current military spouse employment situation and career-related challenges to better inform government and industry stakeholders on how to expand their career opportunities. IVMF partnered with the Robert R. McCormick Foundation in an effort to gain deeper insight into to the characteristics of veterans who are employed in the philanthropic sector (i.e., foundations and grantmaking organizations) and to better understand their occupational roles and potential pathways to employment for prospective veterans. This paper examines the practices of three retailers: Walmart, Disney, and Starbucks to highlight their military and veteran hiring initiatives, their evolution over time, key differentiators of each initiative, and common practices they have leveraged to implement successful military hiring strategies.